Firefighters battled forest blazes and authorities banned barbecues,warning citizens of near-record temperatures as a heatwave scorched much of Europe on Friday. A blame game broke out over wildfires that killed 82 people in Greece. Deputy Citizen Protection Minister Mikos Toskas claimed "serious" signs of arson. Others pointed the finger at the government over its poor fire prevention measures. Germany sweltered in near-record temperatures, forecast to reach as high as 39 degrees Celsius (102 degrees Fahrenheit). Firefighters were battling wildfires near Fichtenwalde, southwest of Berlin, and in northern Saxony-Anhalt. In Berlin, police used a water cannon to drench the parched lawn of Germany's iconic Reichstag parliament building. 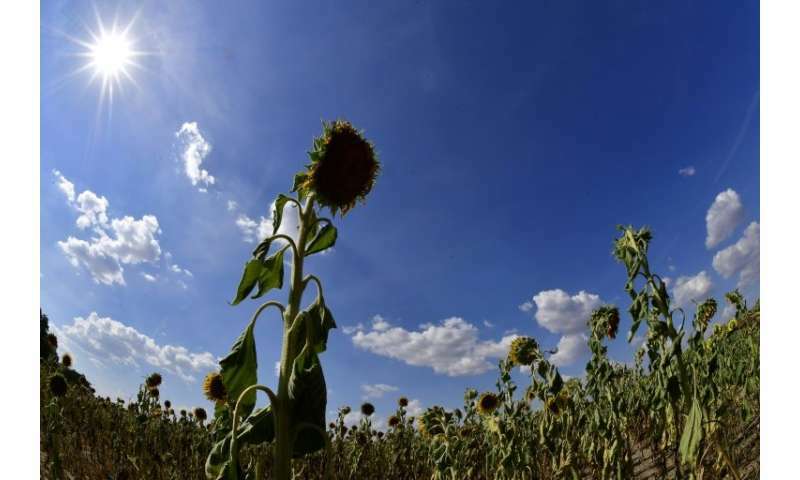 Storms are forecast to bring a welcome cooling of temperatures over the weekend in the north and west of the country, according to forecaster Meteo-France. The all-time British record of 38.5 C could be broken in what the media have called "Furnace Friday". Temperatures are forecast to be in the mid-30s for much of east and southeast England, reaching 37 C in London, according to the Met Office. Cross-channel rail operator Eurotunnel cancelled thousands of tickets after "extreme temperatures" and malfunctioning air conditioning disrupted services.